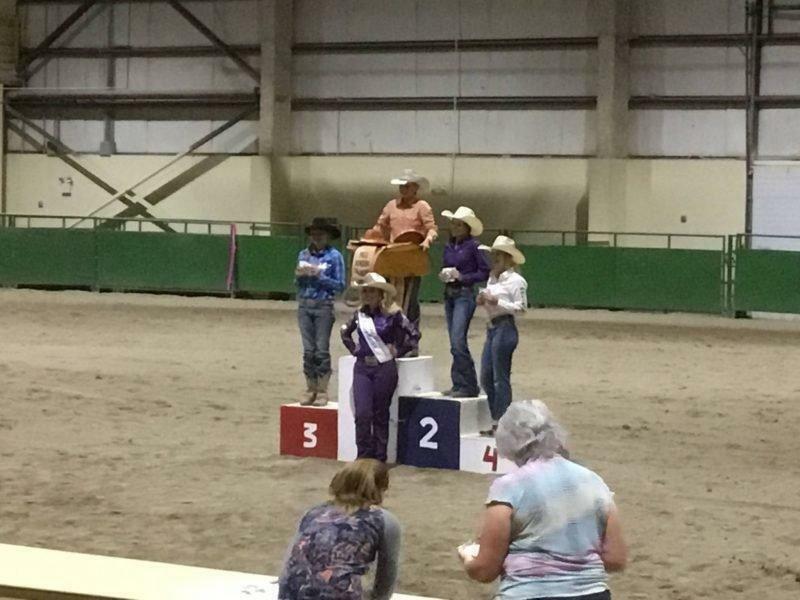 Emery High School and Junior High Rodeo Team made a great showing at the Silver State Invitational in Winnemucca, Nev. last week. Six team members of Emery Rodeo Team left it all on the arena floor. In the high school competition, Shaylee Gilbert competed in the team roping and breakaway roping. Jessie McElprang and Jessica Fox roped in the team roping together as they both competed in the breakaway roping. Wyatt and Will Magnuson were partners in the team roping while Wyatt also competed in the calf roping. In the junior high division, Graycee Mills competed in the barrels, poles, goat tying and breakaway roping competitions. These six members competed against nine different states and two providences from Cananda. Gilbert and partner Hayden Williams from Wanship, Utah ended up seventh in the high school team roping. Wyatt and Will were right on their tails, ending in eighth in the team roping. Wyatt also finished12th in calf roping. Mills ended up winning the pole bending competition and also finished fifth in barrel racing. The Emery Rodeo Team was well represented during the week.